Ever been through an IRS audit? Ever gone through a comprehensive job performance review? a third-party department audit? No fun. I’m told that they are miserable experiences. Jesus told a parable about a shrewd manager who was being audited: “There was a rich man whose manager was accused of wasting his possessions. So he called him in and asked him, ‘What is this I hear about you? Give an account of your management’” (Luke 16:1,2). Either through mismanagement or through fraud, the rich man’s business had lost serious money. The manager knew that the books would reveal his role in the losses, and his heart sank. You may or may not like to hear this, but Jesus told this story to encourage you to see yourself as a manager, not an owner. All your stuff is really God’s, and he seems to think that you are accountable to him for the way in which you accumulate it and spend it. Is he Lord of your checkbook? your portfolio? your real estate? your management philosophy? If he audited you today to analyze how you are managing his property, would you be proud or terrified? If he audited you today, would he conclude that you are proud to work for his business? Grow Deeper in God’s Love Every Day in 2017! 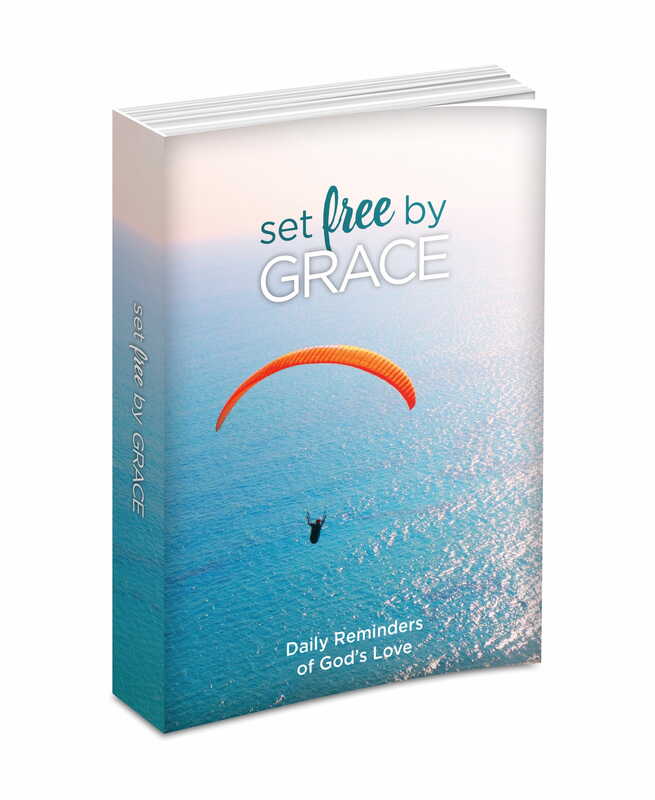 Set Free by Graceis a collection of devotions that will remind you daily of God’s great love for you, help you get your thinking rearranged toward God’s agenda, and boost your courage and strength to overcome the daily struggles and temptations that you face. God promises those who study his Word that they will find greater clarity in understanding life, greater comfort in knowing his love, greater resilience to life’s hardships, and greater joy in service. And that’s exactly what we pray for you as you dive into this 365-day devotional. Request your copy when you donate to help reach more lives with the timeless truths of God’s Word. Thank you for your generous support!